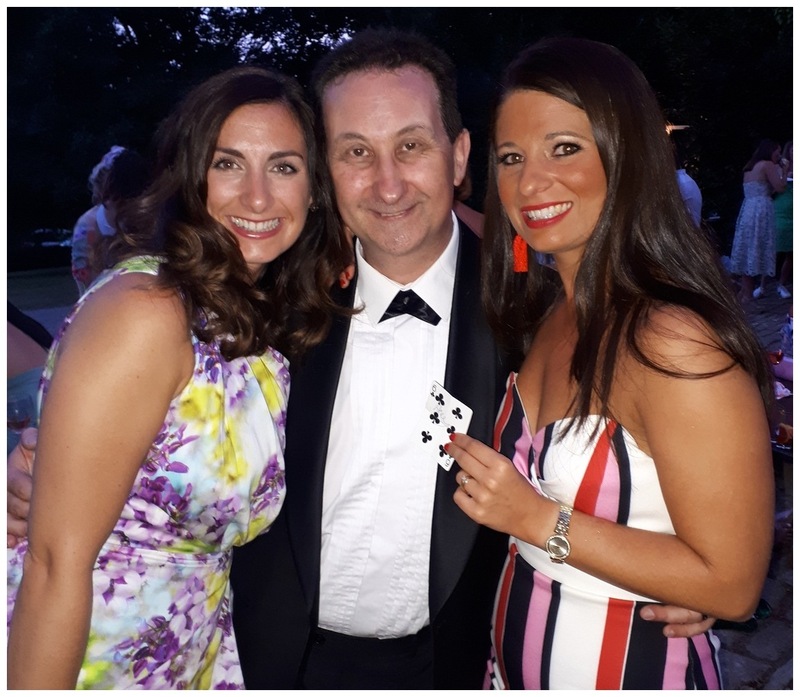 Professional magician available for weddings, parties and events in Woking, Epsom, Guildford, Camberley, Farnham, Dorking, Reigate, Walton on Thames, Oxted and the rest of Surrey. 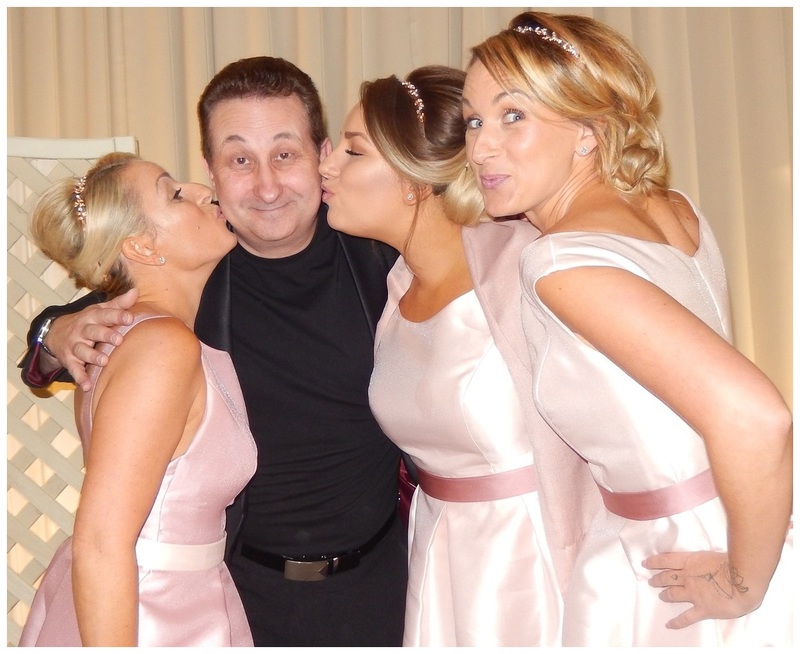 Andy Field is an established full time Surrey birthday party and wedding entertainer. Crowd pleasing close up magician for hire! Memorable and compelling sleight of hand entertainment! Walk about magic with profound impact that works like a charm! Tremendously uplifting wedding entertainer to create quality atmosphere! Surrey magician Andy. An absolute joy of close up magic! Surrey magician Andy. Walk about magic that is rich and rewarding! 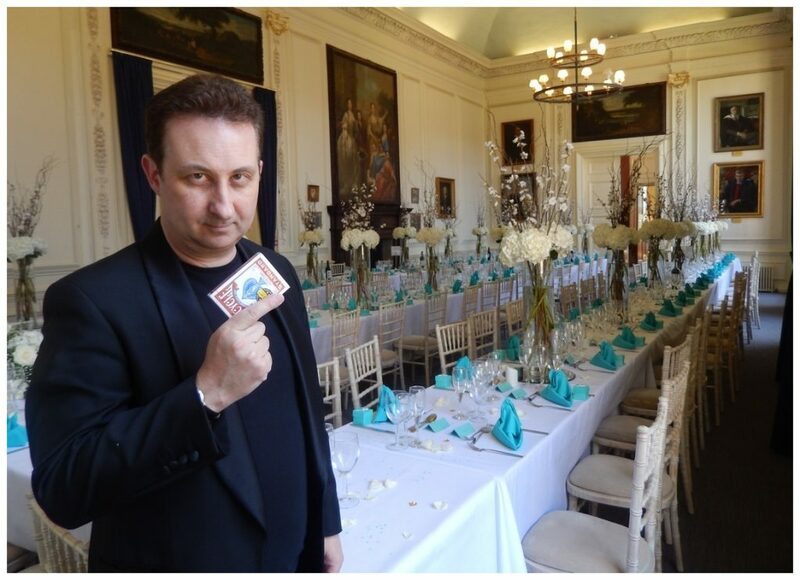 Trusted Trickster Andy Field is a professional Surrey wedding and birthday party entertainer. His sleight of hand is stylish and clever! A Surrey wedding entertainer who is also able to supply charismatic and baffling wedding magic around Woking, Epsom and Guildford. What is your pleasure? Andy can conjure with playing cards, finger rings, coins, money and even very unusual items such as polo mints! 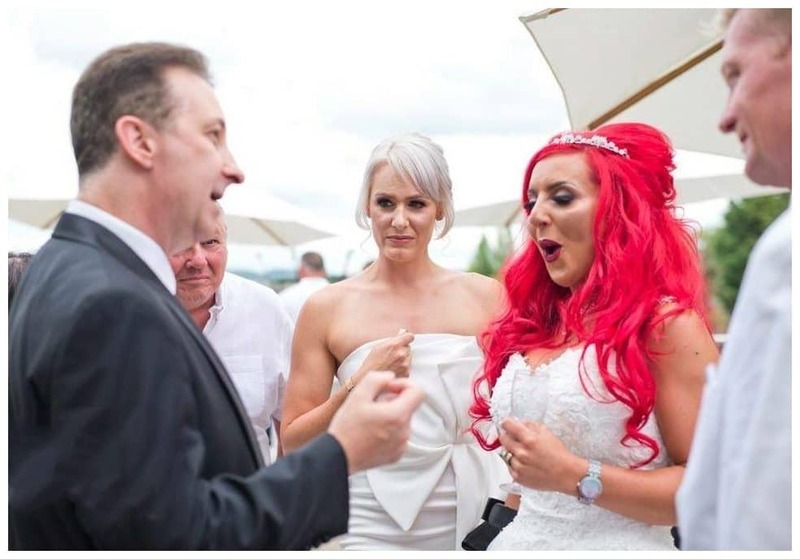 As a Surrey wedding magician his magician costs are not a King’s ransom. His persona is personable. Andy’s presentations are engaging. His close up magic is powerful. All in all a memorable entertainer! Free quotes for your Surrey wedding entertainment. To receive help in obtaining a competitive free quote then please fill out our enquiry form. This is no obligation. We will supply you with details for your Surrey wedding or anniversary party. 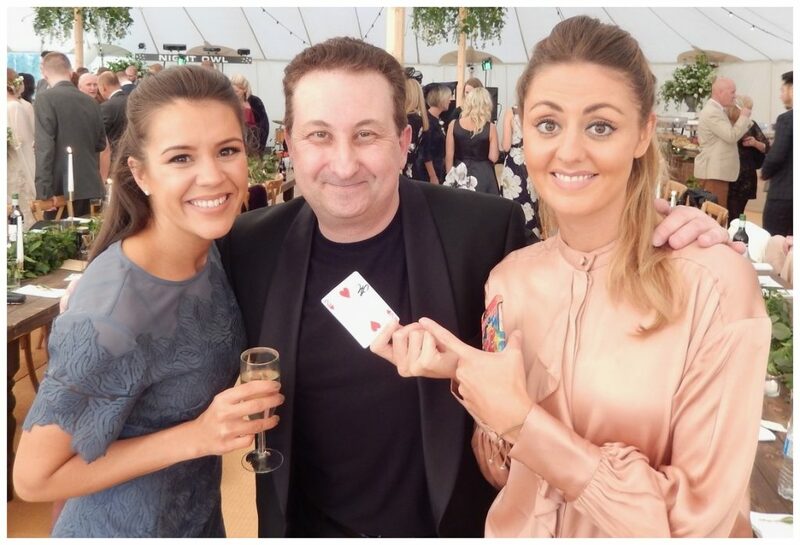 The reason we ask for these basic event details is so that we can provide you with an excellent Surrey magician hire price. Also should you decide to book neither party has to keep emailing each other backwards and forwards with the event details. Surrey wedding and birthday party entertainer Andy does not push up his prices in peak times of the year. Conjurer Andy offers a competitive rate for his skills, knowledge, showmanship, expertise and reliability. Travel costings are minimal. 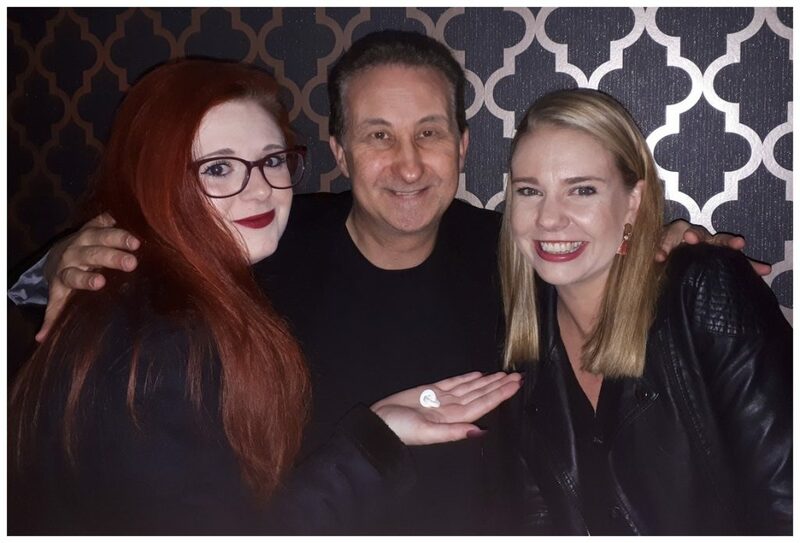 Wonderfully presented close up magic by a memorable entertainer! Sorcerer Andy has a very flexible close up magic act. This can be developed to suit segments of your event to your own design. The atmosphere at most weddings and Surrey birthday parties may fluctuate up and down a little as the event proceeds. A reason why Andy’s mix and mingle magic fits in so beautifully. Andy will keep his eye open for any such gap moments. By hiring Andy to mix and mingle with your guests is a sure fire way to achieving a magical atmosphere! Room turn around and set up. During the photographers photo shoot. The beginning of the night reception. Surrey birthday party magician Andy’s magic is both twisty and clever! Table top Surrey magician Andy can also devote part of his performance to mind reading and ESP. He is able to reveal astonishing predictions to your Surrey wedding or birthday party guests! Powerful magic which could bring the house down! A magical connection will develop with your guests. The men’s eyebrows will raise and the ladies will celebrate with laughter. How a mind reader can possibly obtain such secret information has long since filled people with wonder and amazement! 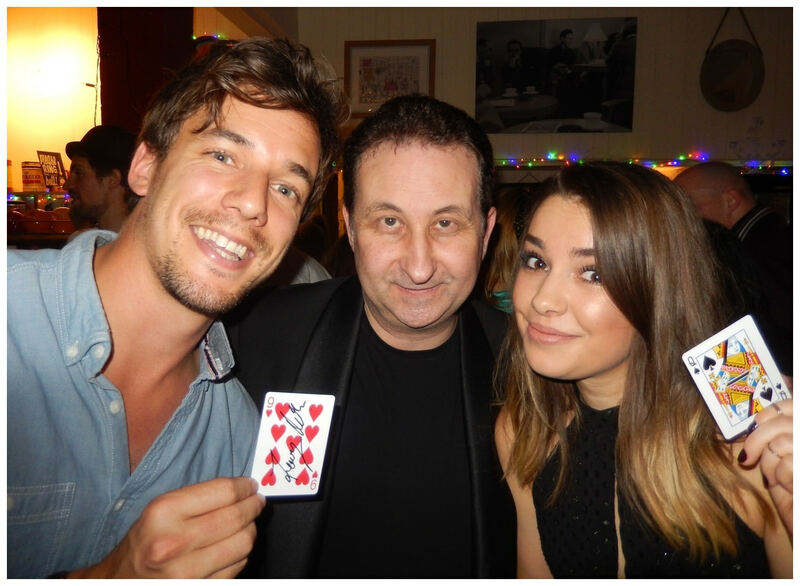 Believable sleight of hand magic created specifically for your Surrey guests! Illusionist Andy can be depended on to deliver a high end magical experience. Twisty and clever magic to build an electric atmosphere! Using his experience and well present sleight of hand Andy will soon give your guests the magic of experiencing some amazing emotions! Your Surrey birthday party guests will wonder what is happening to them! They will experience an incredible range of magical tricks close up and within reaching distance! Your guest will receive ice breaking magic. Later they will go home having collected terrific memories from a marvellous evening well spent! Wonderfully plotted close up magic designed to impress considerably! Recently Facebook changed their business reviews policy. They have dropped the 5 star rating in favour of recommendations. During this change Andy has collected over one hundred recommendations from past clients and customers. Andy has also received lots of thumbs up from people who have seen him perform live. Online recommendations are great way for a potential client to take a look a service being provided. It is also a golden opportunity to read what people have to say about the business which is being recommended. Marvellous close up magic with a sting in its tail! 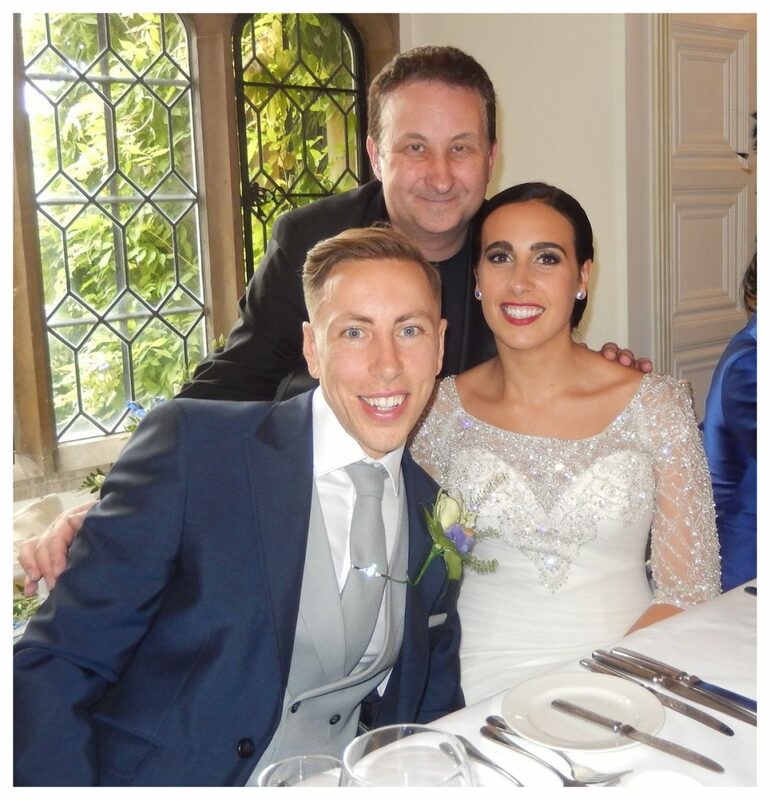 Conjurer Andy makes his living as a full time wedding and birthday party entertainer in Surrey, Woking, Epsom and Guildford. He is also invited along by customers who would like their family and friends impressed and entertained at events such as corporate nights and Surrey wedding anniversary celebrations too. Andy walks from a group or a table of guests performing slick illusions all kinds of familiar objects. Items such as coins, pens and paper bills are all used to create fast moving sleight of hand magic. Surrey wedding and party entertainment to create atmospheres that change everything! Your wedding or party will be unforgettable. Need table top magic? No problem. Andy will be right over! Surrey magician Andy has is a magician with a thousand magic secrets! He has an unrelenting delivery of close up magic tricks on offer! However when you hire Andy for your Surrey wedding or birthday party event you will also received other positive benefits. Andy is a people person. He is very easy to work along-side and is very friendly. He will enthusiastically support your event with confidence and professionalism. Heart warming mix and mingle magic for the ladies! 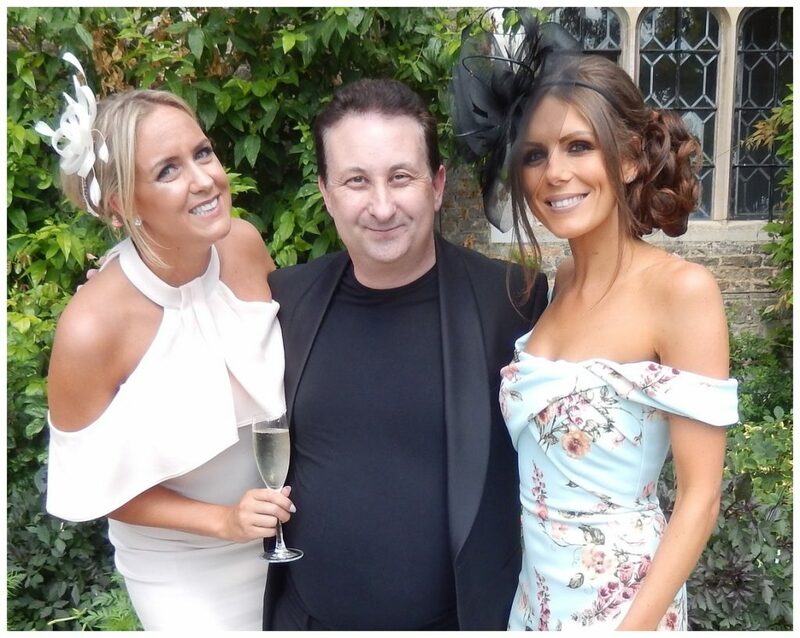 Surrey wedding and party magician Andy is very passionate about making your corporate night a resounding success. Andy has a positive attitude and will listen to your requirements very carefully. Andy is very easy to communicate with. He always try’s very hard to supply an excellent service. Even going one step extra if possible! He would like it very much if you were to be impressed and add your recommendation to his Facebook Page! Mind reading for weddings, parties and corporate events! As far as Surrey corporate and wedding entertainers go Magician Andy is certainly one of the most popular. He is booked for his engaging personality as well as him mind reading skills. ESP and mind reading demonstrations are one of the most popular of magical entertainments. How can it possible for a total stranger to be able to tell another person cognitive thoughts! 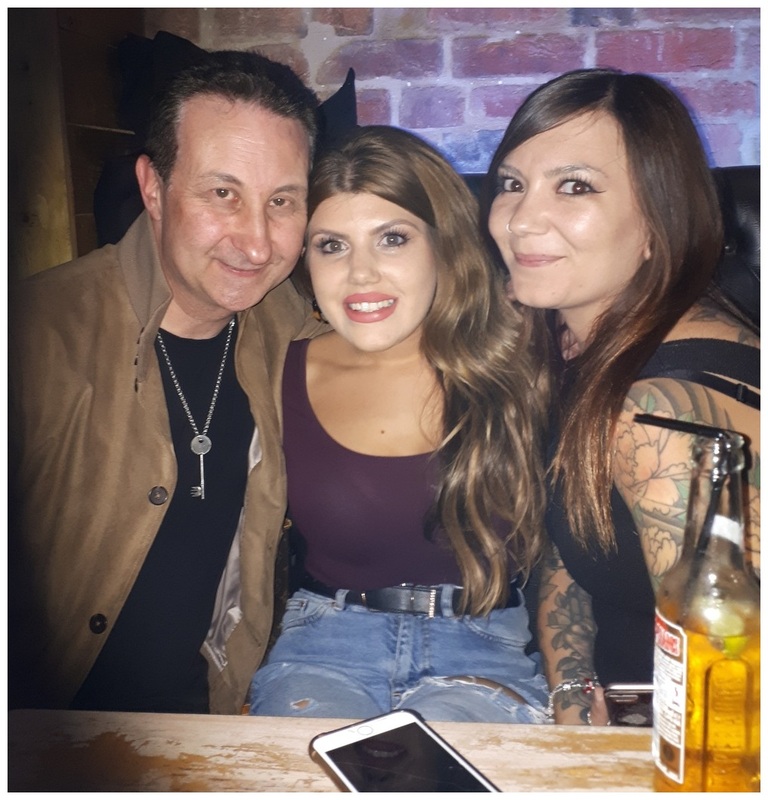 Surrey illusionist Andy loves to perform close up magic that actually takes place in the very hands of his audience. This is very strong magic indeed! A lady could have a torn up card to hold which completely restores itself in her hands. Or a gentleman could be given a signed coin on to find it bends in half while he is holding it. Your guests will want to keep these items as a souvenir of their experience from your event – and they can! Close up magician Andy is available for magic tuition around Surrey, Woking, Epsom and Guildford. From very basic playing card skills up to knuckle busting moves Andy is available for private tuition only.  If you are an adult looking to improve you magic skills in any direction then Andy would like to hear from you. Find out more.